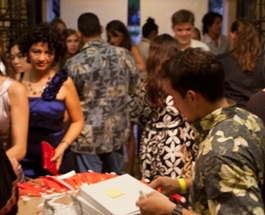 Since 2004, Bank of Hawaii and the Bank of Hawaii Foundation have made it possible for the Honolulu Museum of Art to open its doors to the public free of charge on the third Sunday of every month. 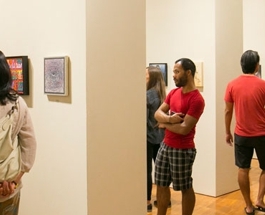 The day offers a program of art activities, entertainment and film focused on an exhibition or art principle. Family Sunday presented by Bank of Hawaii Foundation features entertainment and activities suitable for families and people of all ages. 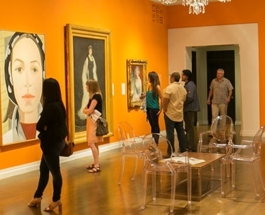 Explore the Honolulu Museum of Art's galleries through art hunts, art activities, demonstrations, film screenings and entertainment. 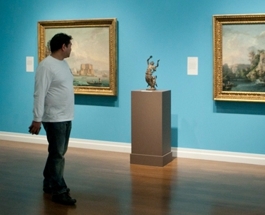 Themes change monthly and tie in with the Museum’s permanent collections and special exhibitions. Third Sunday of every month, 10am-4:30pm, activities stop at 2pm. Learn more.